Do You Contribute to the Motion? Let’s make sure we all understand what it means to contribute to the motion. First we will define what we mean by contribute. We’ll use the Random House Dictionary definition. #1. CONTRIBUTE: verb (used with object), con•trib•ut•ed, con•trib•ut•ing.1. To give (money, time, knowledge, assistance, etc.) to a common supply, fund, etc., as for charitable purposes. And then let’s define what we mean by motion. Merriam-Webster has a great definition. So now let’s be specific about what kind of motion. 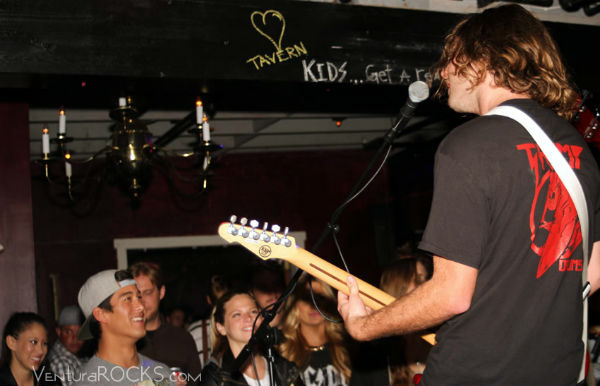 With VenturaRocks.com, we focus on Ventura’s music scene; so the motion would be any activity having to do with this subject’s state of existence (our music scene). That’s how VenturaRocks.com got started. I know we’re contributing to the motion, but we want you to know that you are too. Can you help more? Do we want a better scene? Every single time someone goes to a venue, or buys a CD, or shares a photo, this all contributes to the motion and keeps our music scene alive. And while we’re at it, every time you LIKE a photo having to do with music on Facebook, or you share it, or comment, that too contributes to the motion. You are furthering the motion. You are doing something to help! With our talented artists who continue to create new music, and our many venues who appreciate live music and us audience members supporting it, collectively we contribute to the motion and together we make Ventura Rock. They don’t appear to have a website. So I would contact the Watermark, the last place you saw them. You guys rock!!! This site is so helpful!